We recently got back from a week of camping. This is the sort of news that not everyone shares my enthusiasm for. There are the people who hear my family (as in Mom/Dad/Brother/Sister-In-Law/Nephew) were along and get a bit wide eyed. There are quite a few people who hear we brought the boys (boys in my case always refers to my dogs) and raise an eyebrow questioning my decision making skills. My boys, re-named “Fish Dog” and “Snail Boy” by the end of the first day due to their respective new odors. There are even more who find out we brought all of our supplies to an island (Okay, this year it was actually a super long skinny peninsula, but it felt like an island) by boat and make some sort of surprised exclamation. And then there are those who inquire and find out that our toilet facilities consisted of a nice long trail with a raised toilet seat over a pit in the woods and declare that it would never happen in their world. Fortunately we only had a bit of rain (with awesome double rainbows as a reward for all the wet) the family got along well (and also there was Rum), the boys were fairly well behaved (if stinky), my brother and my dad had motor boats so we didn’t have to canoe all the stuff in (which was very nice) and so it was really quite an excellent trip. In the middle of a wet willy war. Rainbow photos never live up to the real thing. This was a full rainbow with a double rainbow on either end! I wasn’t totally in love with that open air bathroom. It wasn’t the long walk up the trail through the woods. That was quite nice and usually populated by cute tiny toads. This is not a tiny toad, it’s a tiny tree frog. Toads are cute, tree frogs are cuter. Sorry toads. It wasn’t the open air experience. I’ve been a camper all my life, a “throne” with a view is excellent perk. It wasn’t the mosquitoes- well sometimes it was the mosquitoes – but it was pretty breezy so they weren’t much of an issue. This face had nothing to do with bathrooms and everything to do with the smell of dead snails. Not coincidentally they smelled just like my dog Snail Boy. It was the lack of locking door. At home my kids, like everyone’s kids have magic sensors every time I go into the bathroom. In case it’s been awhile since you’ve had kids or you’ve yet to experience the fun, let me explain. Once a mother goes toward the bathroom their magic sensors pick up on it and they come down with severe cases of “questions that must be immediately answered” or break out in rashes of “crisis’ that aren’t”. At home there is a door, and it locks and yet it’s still hard to break away from the children. See how happy she is? It’s because her mom wasn’t trying to go to the bathroom while this picture was taken. At the campsite there was nothing but a long trail. Good thing I like camping. I was gone for a few days last week. After being gone for almost three days I walked up to Jane while she was playing with her friend. Jane’s friend happily called out, “Jane, your mom is here!” Jane glanced up and went back to playing without acknowledging my presence. I didn’t see Ivy and Clara until the next morning. Ivy gave me a nice hug, told me she was ready for school and could she please now use the tablet that had accompanied me on my trip. My reunion with Clara was not so much a reuniting but more of a spectacle as I watched her come into the room and flop face first into the couch while crying and yelling at everyone to go away. Clara and I are not morning people, I felt her pain. I’m not upset by these reactions, quite the opposite, I’m very happy to be able to leave my family without a soul crushing, guilt inducing, flood of tears. In fact, I’m happily leaving on vacation again this week, for much longer this time and it’s good to know they will all be just fine without me! Turk, otherwise known as Turkey, or Mr. Impressive if you want to get all official about it, is my brother’s dog. 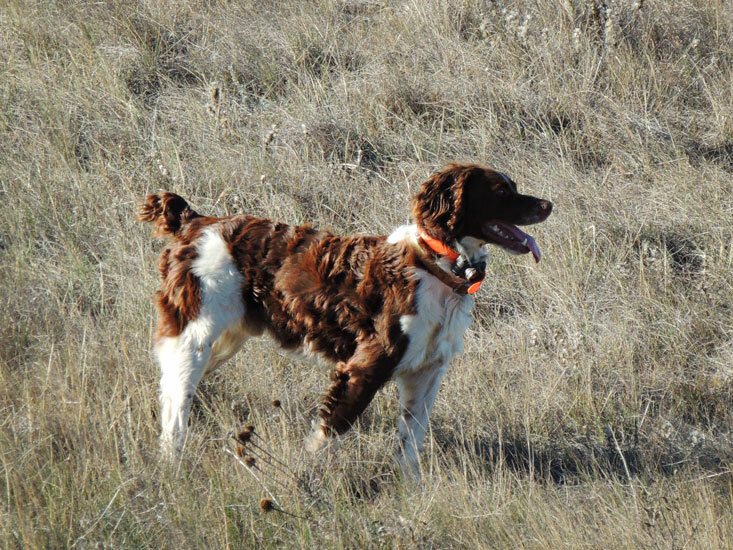 In the past few years Turk has been joined in the field by his two half brothers. Trip (my dog) and Sunday, a.k.a. Weasel (also my brother’s dog) and the three of them are amazing. I could wax poetic on how, when they hunt together, they truly hunt together. Working with each other, blocking birds, covering the field all the while looking like the handsomest trio of pups you’ve ever seen. 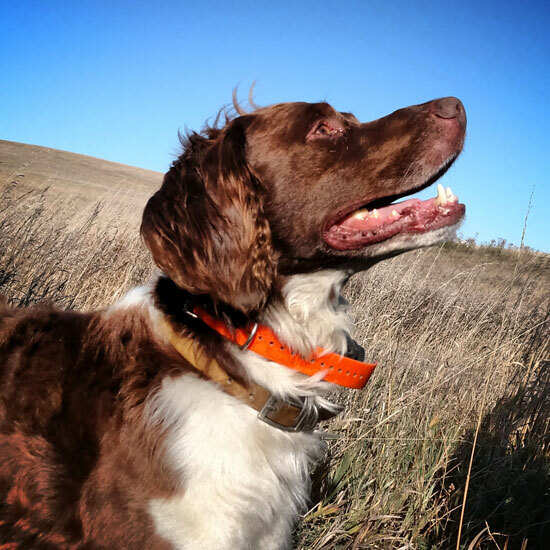 But those of you who are bird hunters with dogs of your own probably won’t believe me (because, obviously, your dogs are better). And those of you who aren’t won’t fully comprehend the awesomeness that I’m trying to convey so I won’t. I’ll just stick with amazing. 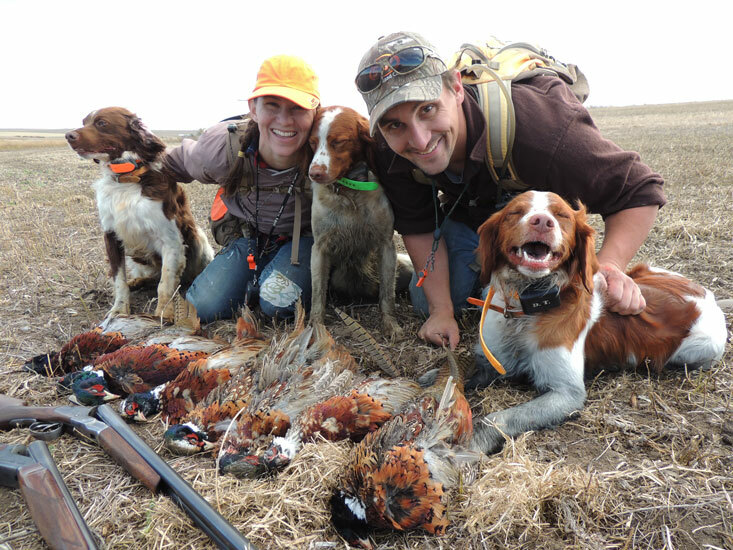 One field, three awesome dogs and a limit of pheasants for everyone including my mom the picture taker. Turk is getting up in years, he’ll be 9 come spring, which means that sadly his experience in the field is getting tempered by his stamina. 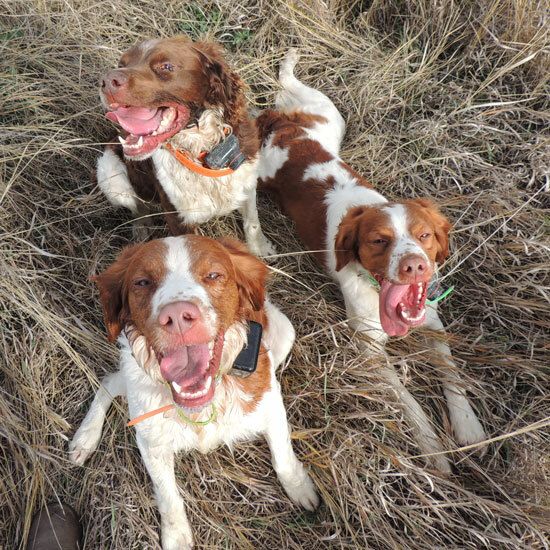 Fortunately, he has the young boys, four year old litter-mates, that he’s training up. And yes, I say he’s training them up. My brother and I, we try to help, but Turk is the one pulling the real weight. Early in our week of Montana hunting the three boys would swarm the field together. 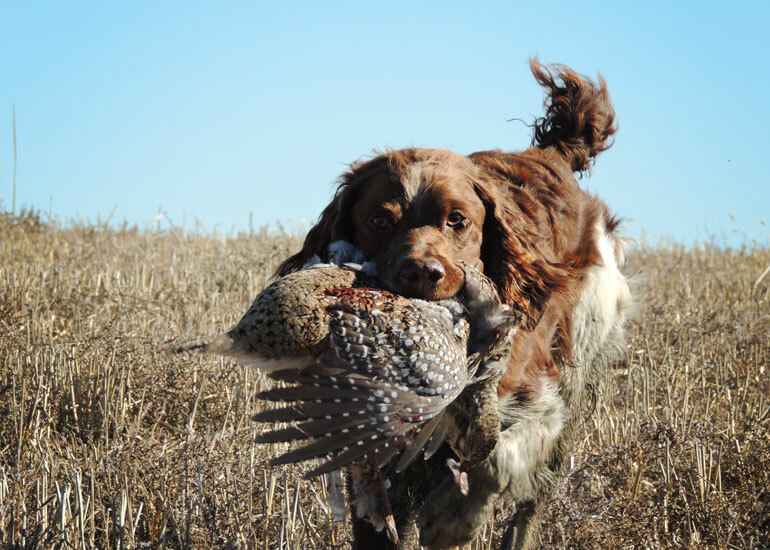 Often Turk was the steadying presence for the young dogs as they pinned down a bird. But by the end of the week he was tired, trotting rather than running through the grass. Occasionally, stopping and staring into whatever likely cover we were passing by as if to say, “Hey boys! Get in there!”And the youngsters did. He had taken over as general manager of our little pack of dogs. But Turk wasn’t completely out of gas. He was just an experienced dog conserving it for when it counted. Near the end of the week my brother shot a sharp-tailed grouse. Off it flew over the crest of a hill, running out of steam and going down. Right behind it flew the dogs. Sunday, Turk and Trip lined up and running all out for the retrieve. They were, as I have said, a beautiful sight. And then, as we watched, Turk kicked it into high gear. 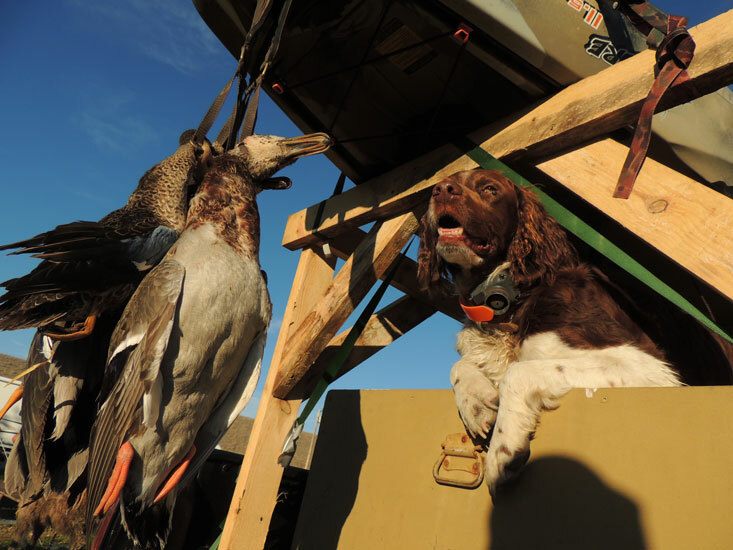 Always the champion of the long distance retrieve, he was not about to be outdone by those young upstarts. And the dog that had been trotting about lengthened his stride and started gaining on Sunday as they crested the hill and disappeared out of sight. 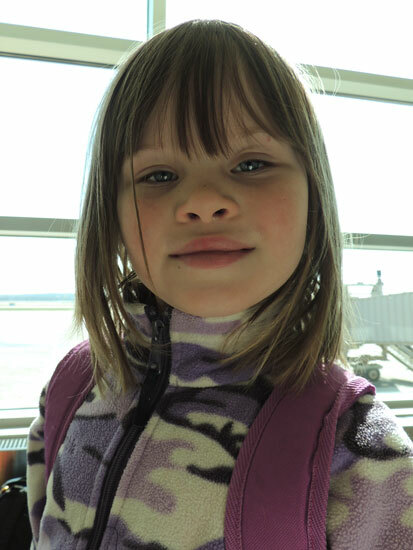 “I’m never getting back on a plane with the kids until they are all at least eight years old!” – A vow I made in complete sincerity just after I was one of those people on a plane. 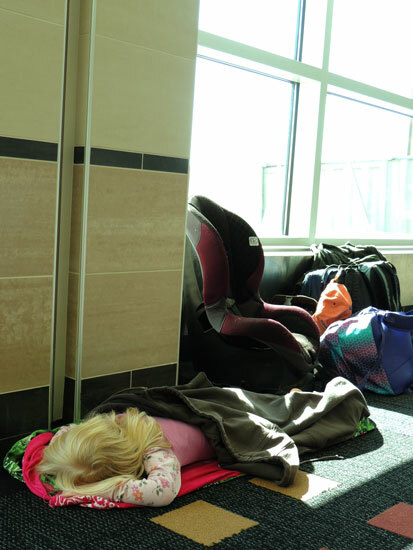 Four years ago I was the pregnant mother with the screaming two year old at the airport. The mother from the family with the seats in the back of the plane. The mother who had to carry her screaming recalcitrant two year old down the entire length of the plane. As if announcing to all the passengers- here we are- and it’s going to be ugly. And oh was it ugly. Screaming, and more screaming- and seat kicking- and that was all while we were sitting waiting (and waiting, and waiting, and waiting) for take off. Shortly after we took off, my screamer fell asleep on top of me and despite the uncomfortableness that comes with having a small child sleeping in your lap in a tiny airplane seat when you are six months pregnant with your third child while your needy first child is crowding you for attention, I left her there – because I had a serious fear of more screaming. When we emerged from the hot sweaty hell that was the airplane. I swore I was never doing that again. Last Christmas my Grandpa approached us with an incredibly generous gift. A Florida vacation to visit him and my Granny there in the early spring. His offer involved super nice things like a flight and a rental car and even letting us stay in their condo. But, and I checked, it didn’t come with the offer of a nanny to fly with our kids. I internally cringed at the thought of flying and said yes anyway. And that is how I found myself headed up the stairs to wake up the girls (ages 3, 5, and 8) and head to the airport to break my vow from four years earlier. I had plans. I had been given advice. I was armed with new coloring books and tiny toys and snacks and kids who are experts at long car rides. And then I went to wake up Jane. The wildcard in all my fears for the flight. And, while her sisters had bounced out of bed in excitement, she didn’t want to wake up. Uh-oh. 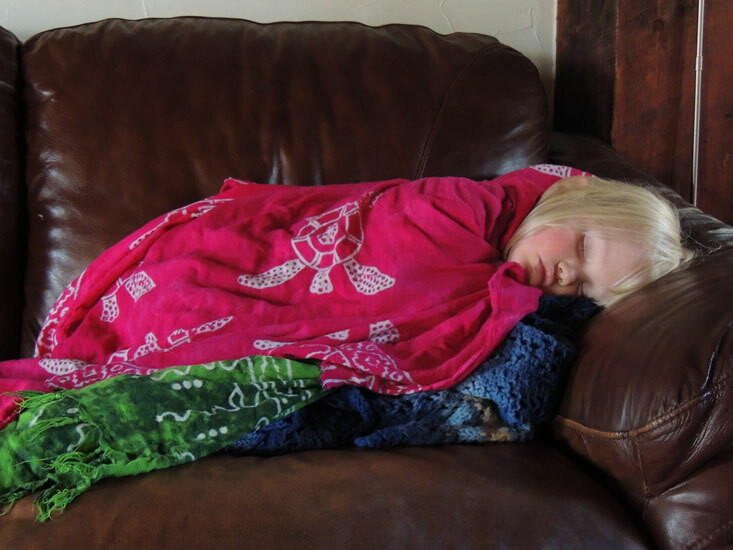 When I did get her up she promptly re-fell asleep on the couch. Uh- oh. That’s right, I was about to get on a plane with three kids, two of whom were under my randomly assigned age requirement and one of those was sick. Jane and I were ushered through a security check point faster than I thought possible and directed to the nearest garbage can on the other side. Fortunately, it was yet another false alarm. So we waited, in various states of health, excitement and dread, for our flight to board. And while boarding went smoothly, I’m afraid Jane didn’t take in much of her first airplane ride. Of course, we didn’t have a direct flight. We had to change planes with a bit of a layover because the only thing more fun than flying with small kids is herding little naive country children through large metropolitan airports trying not to lose them in the crowd. Safely at our new gate, all in one piece and with some lunch beside, Jane perked up. Had a bit to drink. Had a bit to eat. Announced that she was gonna throw up and promptly did so all over the carpet at gate C21. -Some strangers will supply copious amounts of napkins, quickly and without being asked. -Some strangers will affect not to notice the pile of vomit by their feet. -No one will relocate to a different spot. -Puking always makes kids feel better. 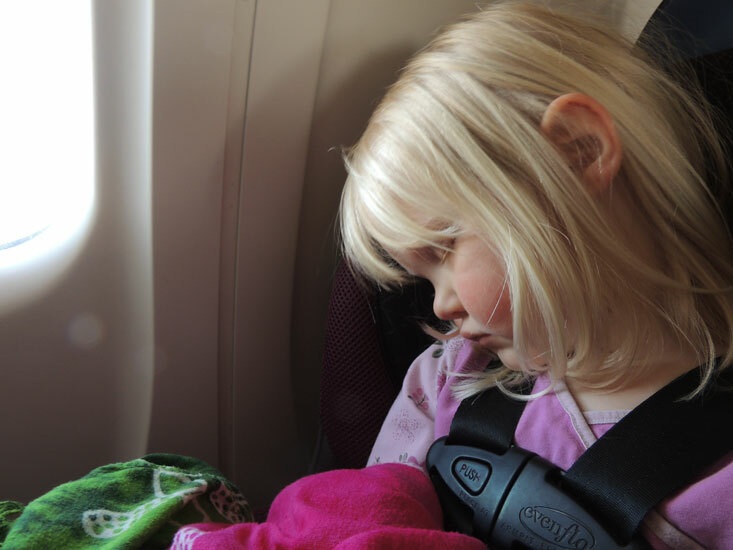 -And, despite the fact that she slept most of the rest of the way, I still really don’t like flying with kids.